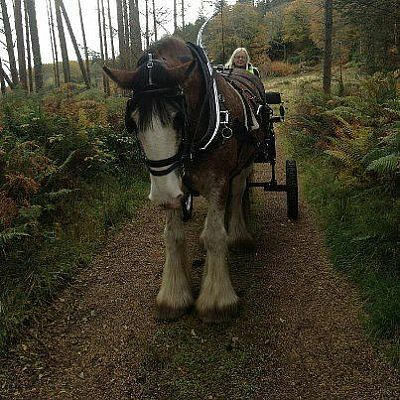 Come and spend a "Hands-on" day with us on our working Croft for a chance to learn about Clydesdales, their care and experience for yourself what it is like to handle one of these gentle giants! 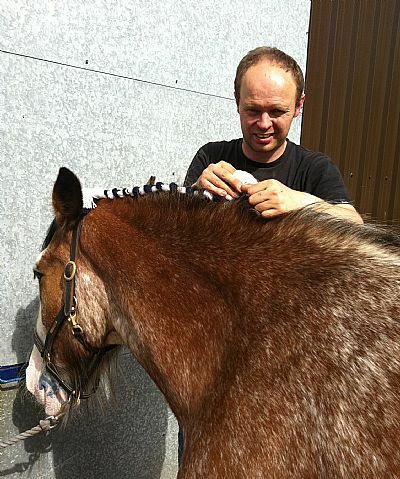 Learn how to harness, plait, feed and care for a heavy horse and try your hand at some long-reining, harrow the fields or have a trip out in our exercise cart. Choose from a full day 10am-3pm, or a shorter half day experience. 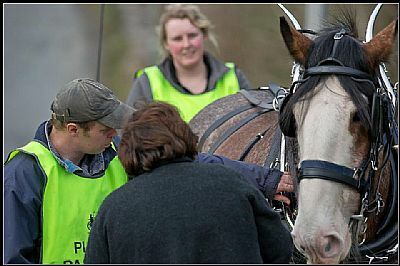 A unique experience for anyone interested in heavy horses,no previous experience necessary. Participants must be of reasonable fitness and 12years old or over. Max of 2 people per experience. The days activities will depend on the capabilities of the participants but we will adjust the day accordingly. Dress code:please wear suitable sturdy footwear/outdoor clothes and waterproofs depending on weather. Participants for the full day experience should bring a packed lunch,light refreshments will be provided throughout the day. Special Reduced Rate for 2013! Booking essential,please email or phone to book.